Pablo, an IFMGA certified guide, will take you up on this hiking tour to the Pichincha Volcano, near Quito, the capital city of Ecuador. 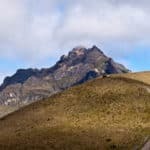 I invite you to join me in this 2-day hiking traverse to the active Pichincha Volcano in Ecuador. This active stratovolcano is just 10 kilometres west from Quito. This hike is very popular for acclimatization purposes. The volcano and its peaks are visible from the city of Quito. We will climb three of its peaks along this 2 days. We will start the traverse hiking up to the tallest peak of the volcano, Guagua (or Wawa) Pichincha (4776 m), the active caldera. After climbing its summit, we will return to a refuge where we will spend the night. The last eruption of this volcano was in 1999. It covered Quito, the capital city of Ecuador, with a thin layer of ash. But now its trail is reopened to visitors. We will continue or trip by climbing the Rucu Pichincha (4627 m). This is the second highest peak of the volcano, and the closest to Quito. We will go through the west side of Rucu, with a great diversity of colorful vegetation. Then, at the summit, we will enjoy amazing views of Quito and the Avenue of Volcanoes. Besides, on our way to the top, we will pass below the Padre Encantado (“bewitched priest”) peak. Also, the Pichinchas are an important historical landmark for Ecuador. It was the site of the Ecuadorian Independence battle, that later originated the present day Republic of Ecuador. So contact me if you are interested in this 2-day traverse to the Pichincha Volcano! We can start planning your trip! And if you are looking for a more challenging adventure, check my Chimborazo guided ascent! 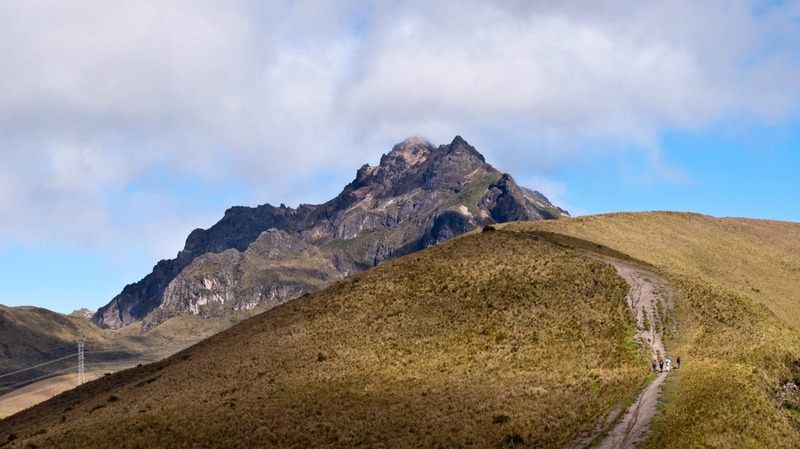 We will drive from Quito to an elevation of 4100 m to Pichincha, just below Guagua. Then, we will begin our ascent to Guagua. At the summit, we will be able to see the new inner domes created from the 1999 eruption. Then we will hike down a bit and set up our high altitude campsite. We will have dinner and turn in for the night. After breakfast we will start our traverse to Rucu Pichincha. After 1.30 hour of hiking we will pass below El Padre Encantado peak. Then, after two hours of climbing we will get to the Rucu summit. We will have lunch here, while we enjoy the best view of Quito. We will then make a short walk downhill to Cruz Loma, where we will board the new cable elevators that will take us back to Quito. Contact me for information about the price and equipment. UIAGM/IFMGA Mountain Guide from Ecuador. I fell in love with the mountains at a young age while climbing Ecuador’s volcanoes with my father. I guided in the Andes for 8 years and have been guiding for the past four years in the Northwest United States. In 1997 I expanded his adventure skills by taking on rock climbing. I represented Chimborazo province three times as the Ecuadorian National Rock Climbing Champion. 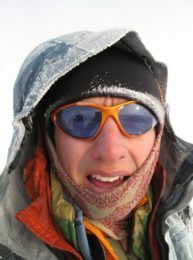 I completed his UIAGM certification with the Bolivian Mountain & Trekking Guide Association, accredited by the National School of Ski and Alpinism of Chamonix (ENSA), and completed Advanced Alpine and Rock Guides Courses with American Mountain Guide Association (AMGA). I usually spend some months every year in Ecuador (from October to January, but it varies every year). The rest of the year I am based and guide in Europe. Mountaineering - 16 days - Interm. Mountaineering - 9 days - Interm.